A friend of mine got married this past weekend. Yes, it was totally a Catholic wedding. 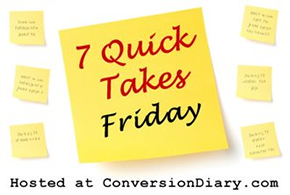 Yes, it was more than 10 minutes long (umm…it’s a Mass…). But! This was not your average Catholic wedding. No, no, no. Average Catholic weddings have one priest celebrating the Mass and marriage rite. But this wedding had six (6) priests con-celebrating the Mass! Picture, because it totally did happen! 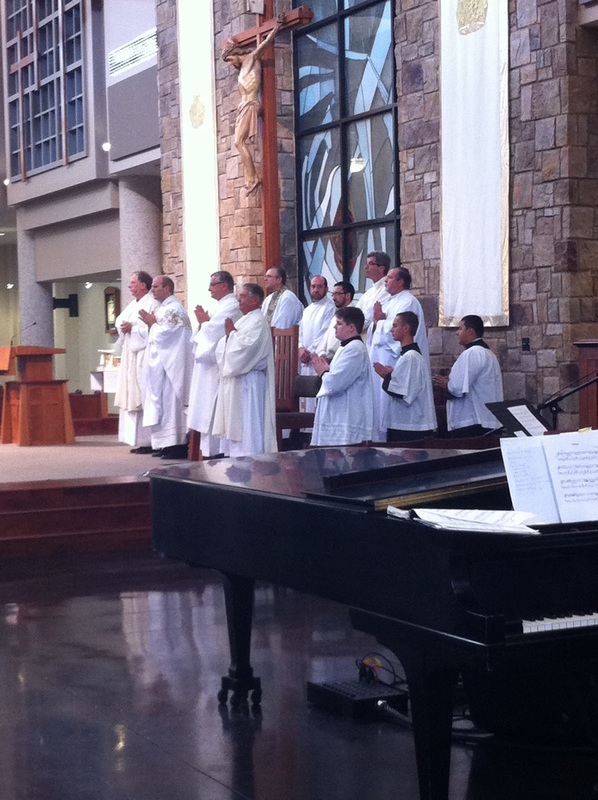 Okay, 6 priests…2 deacons…1 seminarian serving as an alcolyte…2 altar servers…who’s counting? Now, I’ve been to a ridiculous Mass with hundreds of priests before…but…for a Catholic wedding…at least, those that I’ve attended, don’t typically have more than one! But of course this begs the question of why six priests? Well, my friend is a highly-involved Catholic. Maybe he’s kind of important in the Knights of Columbus across the state of Texas on the collegiate level. Maybe he works for my diocese. Maybe he’s grown to know the pastors of his college parishes. Maybe his (now) wife has a priest for an uncle… Supposedly Bishop Vann was invited to this wedding but he’s kind of busy right now. Totally met a coworker that I’ve seen around at work but officially met him at the wedding! …because he was an usher. This past Wednesday was my parents’ 31st wedding anniversary! We celebrated by going out to dinner at a Mexican restaurant. Mmm…31 years…that’s pretty good! I’m grateful that my parents have been a pretty awesome example of what it means to be married in terms of necessary sacrifices made for the good of each other and for the good of my bro and myself. And in today’s American society…31 years…that’s commendable! -raises glass- Here’s to many more years of joyful marriage for my parents! I feel like a Carmelite. This past Sunday, we had a group investiture of the Confraternity of the Brown Scapular. In English, we had a priest induct us into a group of non-Carmelites who, now being part of the Confraternity, can share in the promises the Carmelites received from Our Lady of Mt. Carmel, where Mary appeared to St. Simon Stock and gave him the brown scapular along with a promise to those who are devoted to the brown scapular. You can read more about all that here. 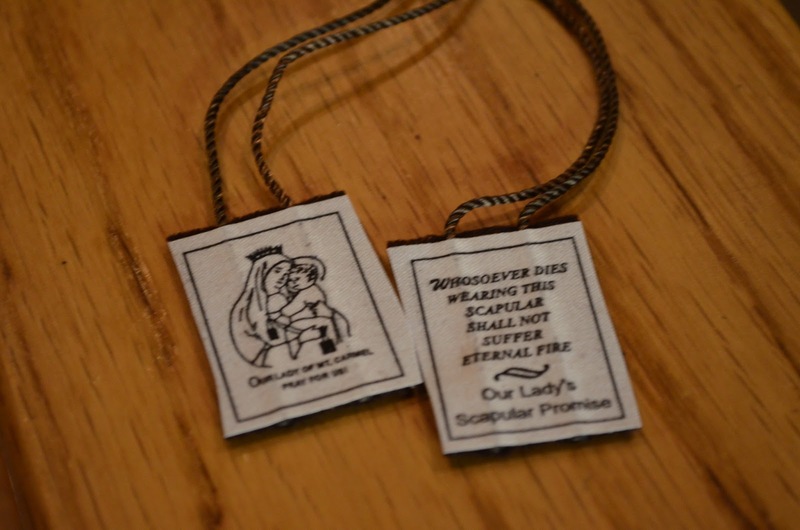 I’ve actually worn a brown scapular since high school…but I didn’t really fully understand it until I was properly taught about it in the past year or two. And actually, I got invested into the Confraternity in that past year or two. This group investiture was for all the youth in the religious education program that I volunteer for and so I…just…renewed my devotion and refreshed my understanding thanks to the priest’s explanation. But wait, there’s more! 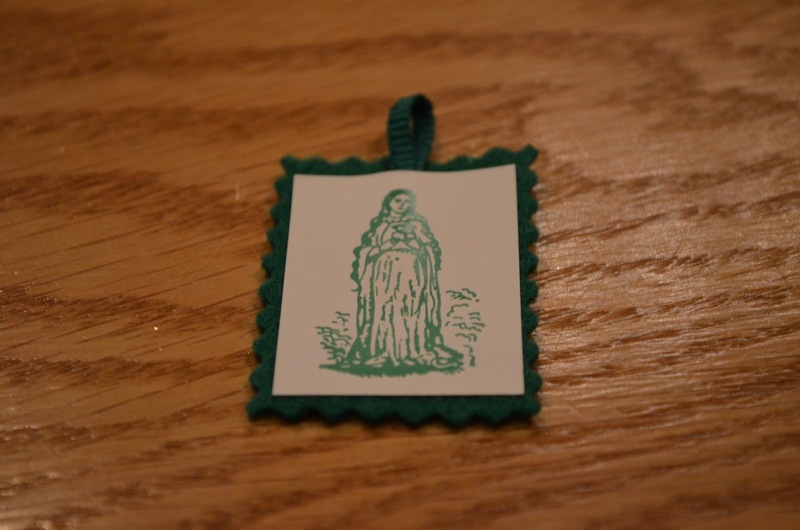 The priest who invested us for the brown scapular also blessed our green scapulars, which we also handed out. Yes, he even explained the green scapular which has a different devotion for a different purpose. You can read more about that here. I had three green scapulars with me and got them all blessed at this time. I do plan on getting rid of them ;-). In a bit of sad news, Reveille VII passed away on Thursday. Texas A&M’s mascot is a purebred American Collie. There’s a story and tradition about how a dog came to be A&M’s mascot. 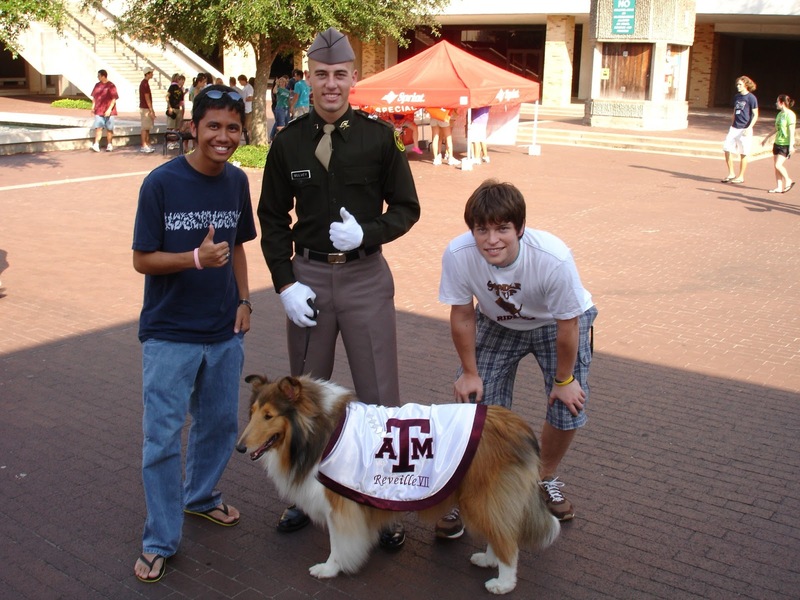 Reveille VII was the mascot most of my time during college. I’ve had photo ops with her…and I’ll definitely miss her. Though she was ill-tempered at times…she thankfully never bit me or barked at me. I’m curious to know when her funeral is because…I dunno, only Texas A&M would give a dog who outranks every. single. member. of. the. Corps of Cadets a full military burial. And the graves silently watch the scoreboard at Kyle Field. TAMU Times story on her passing here. 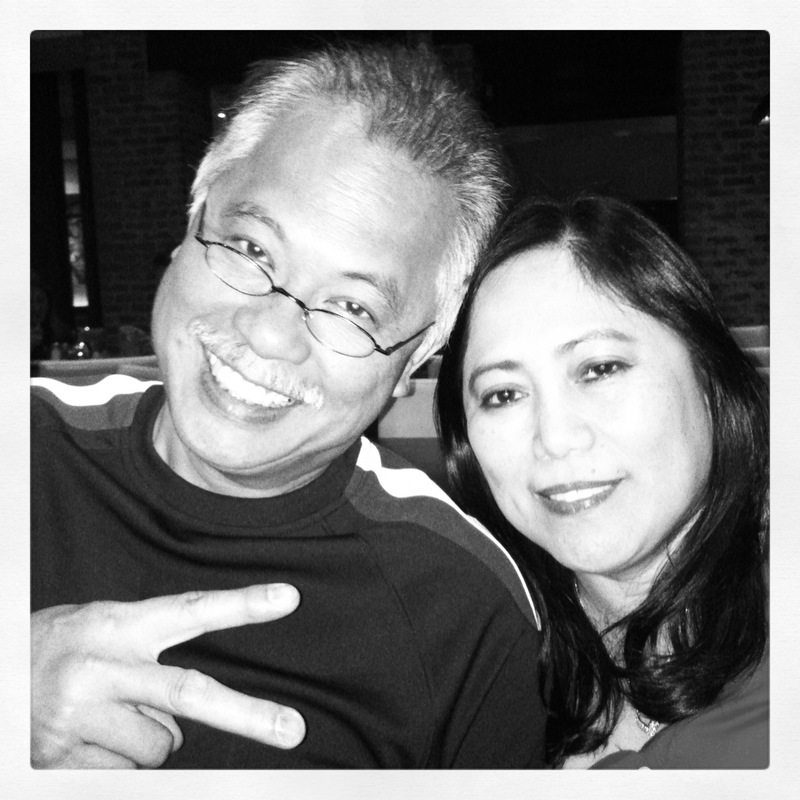 In other sad passing away news…one of my parents’ good friends from the Philippines passed away the other morning. Thankfully, my family and their friends had opportunities to go visit him in the past few months before he passed away. As she was preparing her breakfast, my mom asked me a curious question on my way out of the house to go to work. She asked, “did you hear the TV in the living room turn on at 3:30AM this morning?” I was like…uhhhmmmmm…errr….no. Asleep. Then she proceeded to tell me about Tito Gil passing away and my parents found out via a phone call that he had passed at way at 4:30AM. Eastern time. Which is …3:30AM Central time. Apparently the TV in the living room had turned itself on with the volume fully up at about that time. My parents investigated, turned off the TV, and my mom couldn’t fall back asleep. Then they received a phone call from a friend regarding Tito Gil, and that’s when they found out about his passing. I cannot declare this coincidental out of randomness simply because that TV has not had a history of turning itself on. This strange occurrence reminded me of the other strange and similar occurrences when my grandparents (dad’s side) passed away. Because the same exact sort of thing happened when grandfather passed away, and it was an old alarm clock radio that somehow turned itself on. Then there was the repeated random turning on of our Bose sound system radio after my grandmother passed away. Gosh, I guess my family seems to attract haunted electronics whenever someone close to us passes away. Am I freaked out? Nah. It’s kind of comforting, really. It almost affirms that there is something after death. I’m grateful to be Catholic because it puts all that in context. Pray for the repose of Gil Gutierrez’s soul. May the souls of the faithful departed rest in peace. CONFIRMATION! 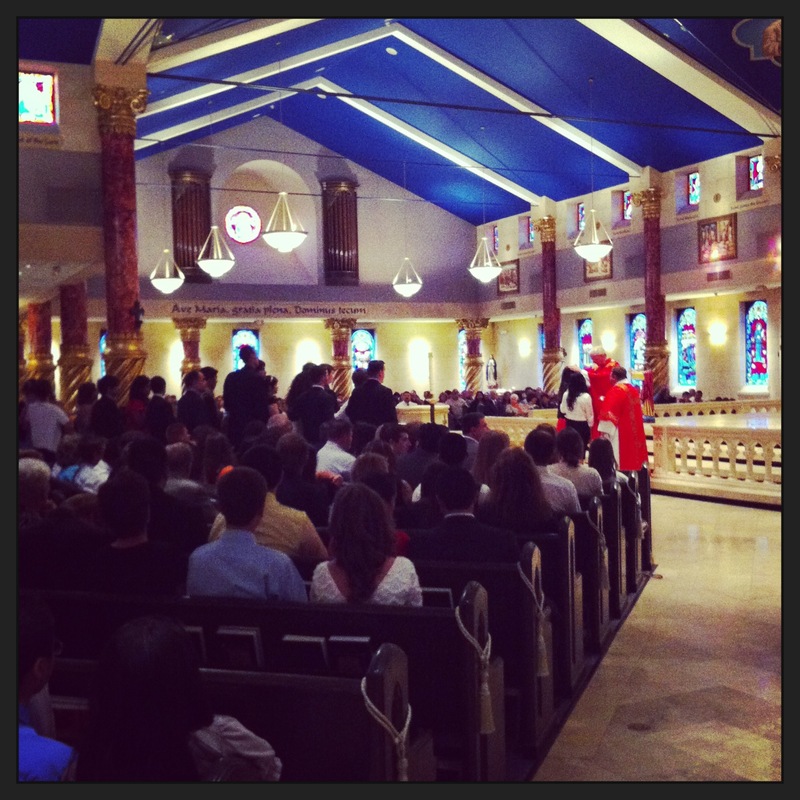 We just had our Confirmation Mass at my parish, and it was beautiful! I think we had about ~100+ receive the Sacrament of Confirmation, thus completing baptismal grace by the laying of hands and anointing with oil by our pastor. As a Confirmation teacher, this was definitely a big day, and I’m so proud of them! Now I pray that they’ll continue to live out their Catholic faith and not treat Confirmation as a sort of graduation!